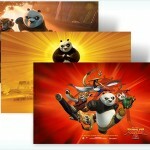 Microsoft has released three new Windows 7 Themes for users of which one is based on the upcoming movie Kung Fu Panda 2. Go ahead, download the themes and give a new refreshing look to your Windows 7 system! Prepare for the return of awesomeness! Download this free Windows 7 theme featuring images of your favorite characters from Kung Fu Panda 2, a 3D movie by DreamWorks Animation in cinemas across the world this summer. Download Kung Fu Panda 2 theme for Windows 7. Take a closer look, then get even closer in this free Windows 7 theme that examines nature's delicate side. 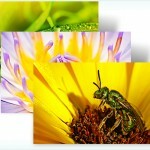 Download Small World theme for Windows 7. Discover the world inside a water drop with this free Windows 7 theme featuring astonishingly artistic images by photographer J.P. Peter. 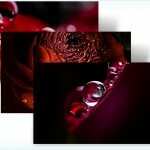 Download Waterdrops theme for Windows 7.